3 Quick Updates for a Guest Bedroom | Pop Talk | SwatchPop! 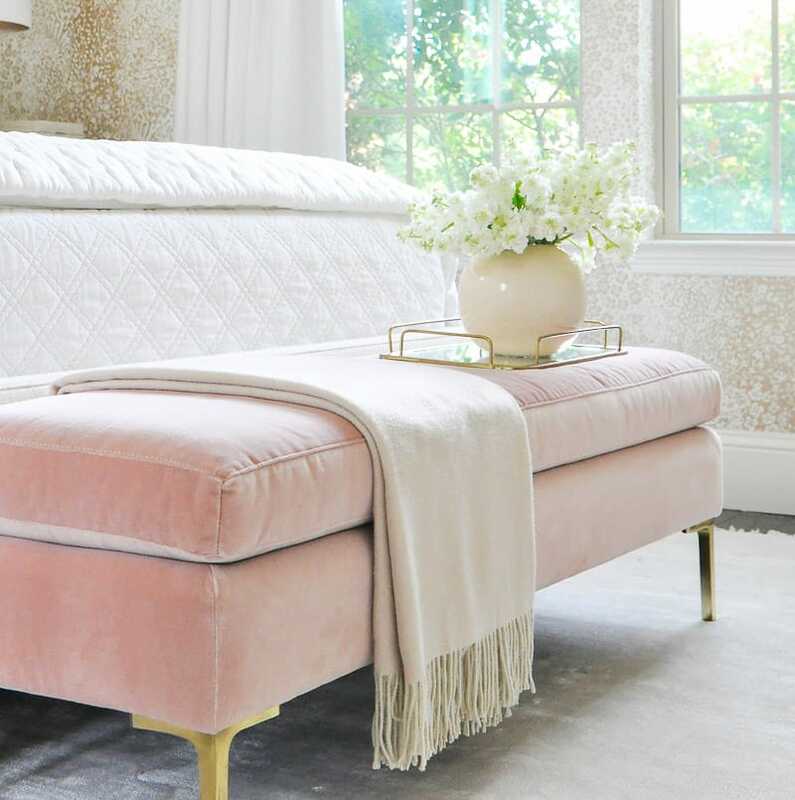 The holidays are quickly approaching which means guest bedrooms all over the country are prepping to be occupied. Is yours ready? 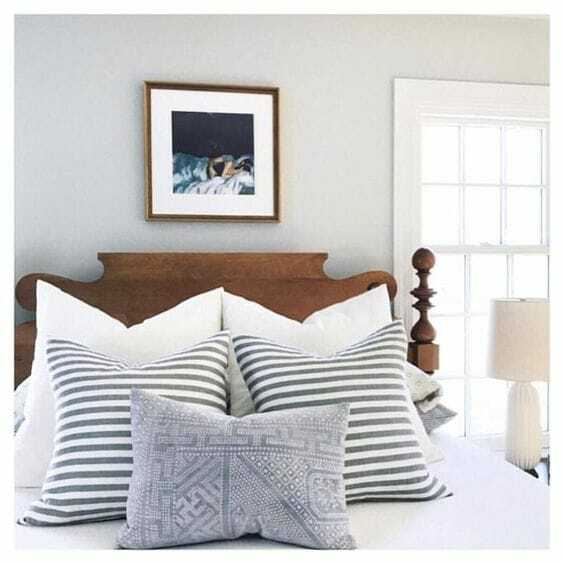 Don’t worry if it isn’t, because we are sharing 3 quick updates that can totally transform the functionality and look of a guest bedroom. 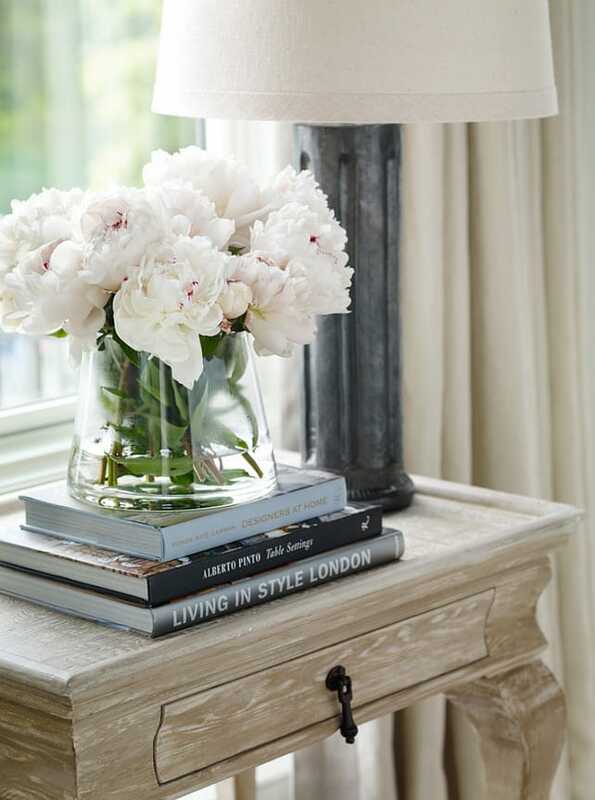 Style the nightstand with a small trinket tray or dish for jewelry and keys to add functional and stylish storage. An alarm clock is always a good addition to a guest room or take it one step further and place a mini voice assistant device on the nightstand for extra convenience. Print off the household wifi password on a small card for easy convenience and always finish it off with fresh flowers! Every room needs a place for people to sit, relax and set a purse or luggage on. This can be an upholstered chair in a corner or bench at the end of the bed. 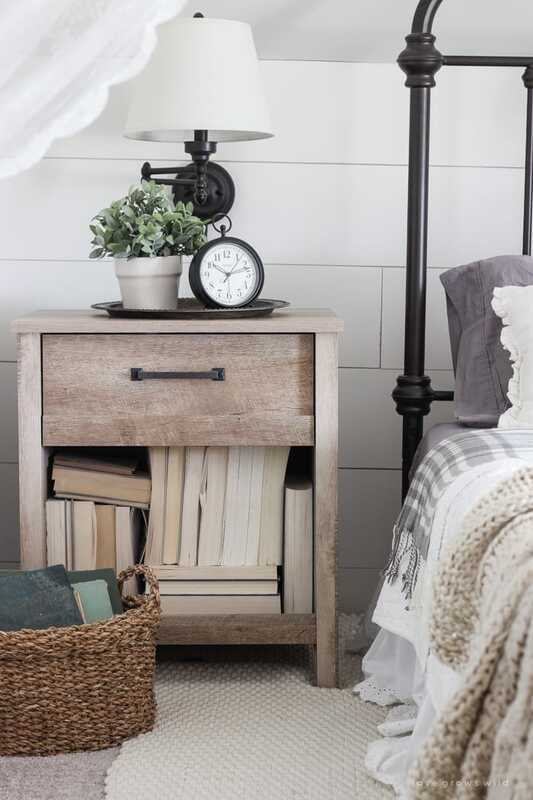 Even the smallest of guest rooms can switch out one of the nightstands for the convenience of a small chair. 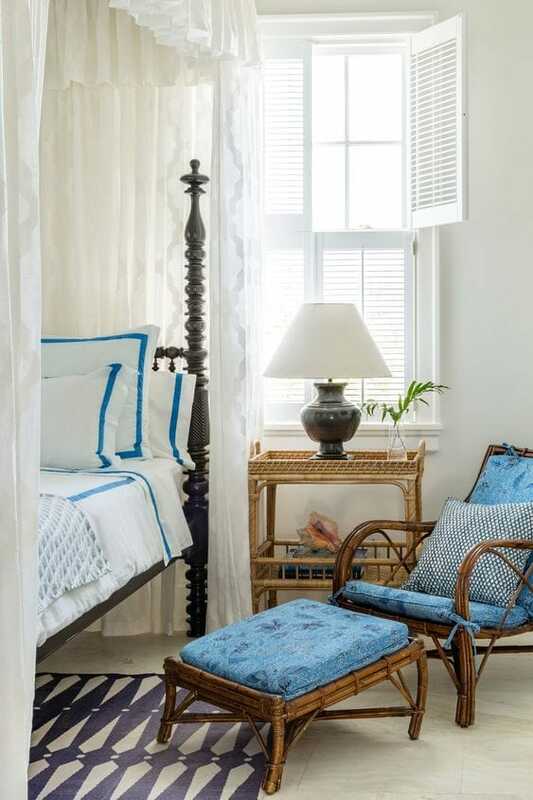 Bedding takes up a large majority of a guest room, so switching up the bedding will make a big impact. It can be as simple as an extra folded quilt at the end of the bed for extra warmth or a pop of color or pattern. If you want more of an impact, switch up the throw pillows too. 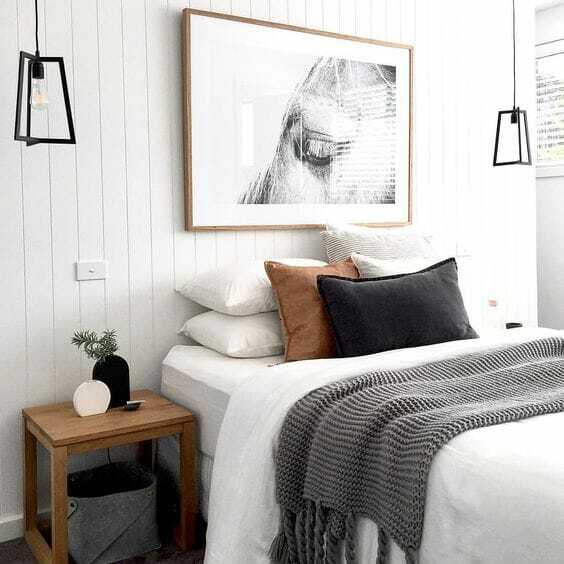 There you go, 3 quick updates for a guest bedroom! Even the smallest of changes can make a big impact on guests. BONUS: It will make you, the hostess, feel more prepared and excited to share your newly updated guest bedroom with others. Which update are you going to tackle today? So, you want to makeover your ____________ (fill in the blank with the room you want to decorate). Where do you start? What is your first step? When do you go shopping? What do you buy first? How do you stay within your budget? Do you need a designer? There are so many questions about the decorating process and we want to help answer them. Grab a pencil and paper and get ready to start decorating with a plan! Do you have a blank wall that you want to do something with? Deciding on how to decorate it can be exhausting because there are a million different options to consider. Which is why we are sharing 4 of our best and most-recommended decorating ideas for blank walls to help give you some guidance. Rugs are one of the most powerful ways to instantly update a room. Since rugs cover a large portion of a space, replacing a rug can change the overall look and feel to a room. Even though it is such a simple change, you will be amazed at how different a room can look with a new rug.